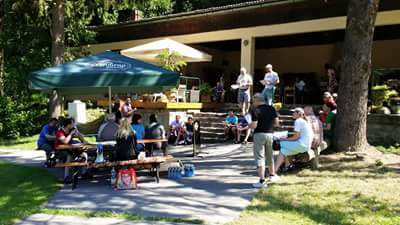 Camping na Kopci, we are looking forward to your visit! Only one point separates the decision to spend your vacation at our beautiful camp site. Midsummer valley is for centuries guarded by the statue of the saint and is interwoven through the flow of the river Bystřička. If you are looking a place to relax or to be very active, we are the ideal place for you! You can also contact us to organize various events e.g: birthday, wedding etc. Auto Na Kopci (the mountain), formerly known as Jitrenka (morning star), located in the beautiful countryside of the highlands between villages Vir and Bystrice nad Pernstejnem. It offers visitors not only a beautiful landscape for relaxation, but also many tourist attractions. The area offers many opportunities for lovers of cycling, mountain biking and hiking. 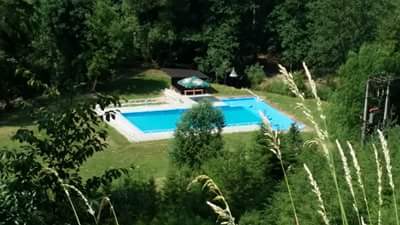 The campsite has a swimming pool with paddling pool, football and volleyball field. And of course we have free Wi-Fi. 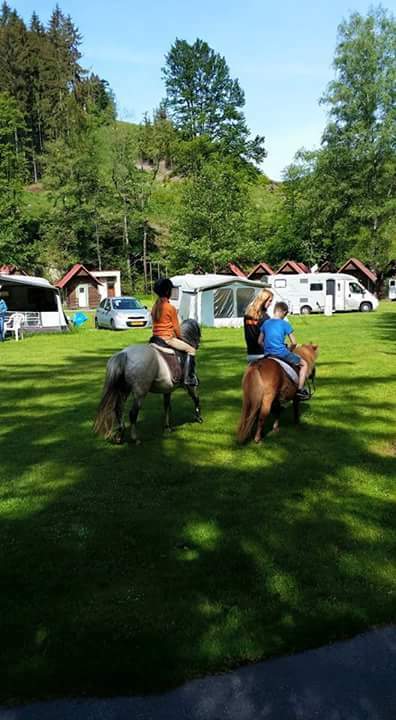 The camp is fully equipped for an enjoyable holiday in a tent; trailer; caravan, motorhome and in addition we also have cabins for 2/4 persons or apartments. There are lovely showers, we have drinking water all over the area. And in the main building where our bar / restaurant is we have a lovely covered terrace with fireplace for in the evening hours were you can enjoy diner/ snack’s and drink’s. Find out how you can enjoy your holiday with us.